Happily, most canine Lyme vaccine side effects are usually minor and temporary, and it is normal for any vaccine to cause minor side effects in a few patients. The side effects divide into short term and long term issues. However, it's important to note, any vaccine passed by APHIS has been through extensive clinical trials and proven safe when used according to the manufacturer's instructions. From soreness at the site of injection to anaphylactic reactions, all vaccines have the potential for sudden onset or short term side effects. The Lyme disease vaccine is no different. Merial records very rare cases of anaphylaxis (a serious shock type reaction). This adverse reaction occurred in less than one patient for every 10,000 doses of vaccine used, including those used in clinics as well as the research facility. An anaphylactic reaction happens within 10 - 30 minutes of vaccination. If your dog collapses within minutes of the vaccine, return immediately to the vet clinic. This is a true emergency and the dog needs immediate veterinary treatment and an adrenaline injection. Be prepared for the dog to stay for a few hours, since many cases require monitoring and intravenous fluids until they are stable. The Merial data sheet for the canine Lyme vaccine Merilym 3 states around one in every ten dogs vaccinated can expect a raised temperature (by 1.5 C) shortly after vaccination. This may sound alarming but it is standard for most vaccines. In practical terms, an owner may find their dog is feverish, unsettled and lethargic. Typically, this lasts no longer than 48 hours. If you are concerned, speak to your veterinarian. They may suggest a dose of a non-steroidal pain reliever, such as meloxicam, provided it is safe to do so. Pain and swelling at the injection site usually settle within a few days. If the dog is otherwise eating and well, then you just have to monitor the situation. However, if he is doing poorly and the problem persists more than 24 - 48 hours, seek the advice of your vet. 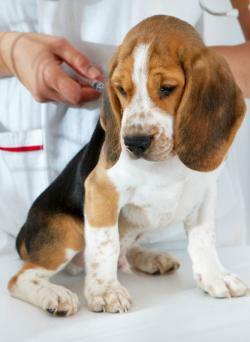 The data sheet also indicates approximately 10 percent of dogs can expect a raised temporary swelling measuring less than seven cm at the injection site, shortly after being vaccinated. As part of the licensing procedure for the vaccine, Merial records around one in every 1,000 to 10,000 vaccinated may experience a larger lump, measuring up to 15 cm in diameter. These lumps usually go down without additional treatment required. The short term side effects of the Lyme vaccine are the same short term effects that are likely from any canine vaccination. There are currently no proven cases of long term illness as a direct result of the canine Lyme disease vaccination. Even so, there is still debate over whether or not the vaccine has more side effects. Indeed The New York Times went so far as to publish an article recommending cautious use of Lyme vaccines. This warning was based on the work of Dr. Richard Jacobson from Cornell University in 1991. He was concerned that the vaccine may trigger production of certain antibodies (as part of the body's natural defense system) that clog up the kidneys and cause renal failure. However, to date, no firm data, evidence, or clinical trials have backed up this concern. Despite extensive clinical trials, no long term side effects have been proven either by manufacturers of Lyme vaccines or concerned parties. 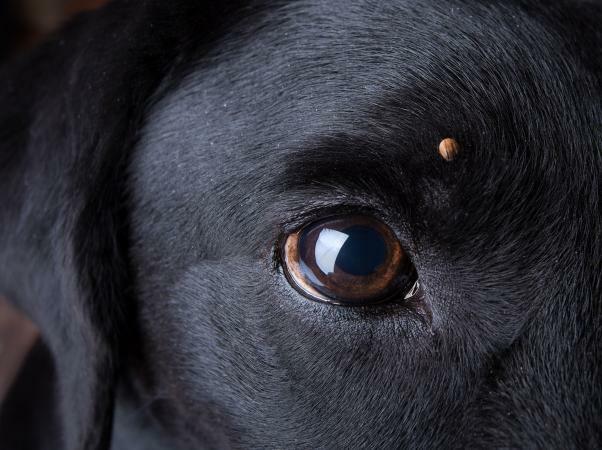 To illustrate the complexity of this subject, VetInfo writes about protecting dogs against Lyme disease and some of the unproven side effects of vaccination. Potential long term effects include the following. In addition to short term side effects which are usually transient, anecdotally up to six weeks later some dogs became ill with symptoms of Lyme disease. Some dogs were so sick they were put on treatment for Lyme disease and went on to recover. These are anecdotal accounts that dogs developed Lyme disease as a direct result of vaccination. However, there are no scientific studies or evidence which backs this up. Indeed, the vaccine manufacturers have studies that show from 1,000s of dogs followed up after vaccination, no such effects were seen. One possible explanation is that these dogs were incubating infection, before having the vaccine. A concern voiced by dog owners is that some vaccinated dogs went on to show signs of rheumatoid arthritis and/or Lyme kidney. These are autoimmune diseases where the body overreacts to foreign proteins in the blood stream and triggers an attack on its own tissue. Rheumatoid arthritis causes joint swelling, pain, and a shifting lameness. Regardless of the cause, dogs showing these signs of arthritis should see a vet. In most cases the condition can be controlled with strong anti-inflammatory drugs such as corticosteroids. Lyme kidney is a serious nonreversible condition which can lead to organ failure and death. Signs include poor appetite, excessive thirst, vomiting, and weight loss. Whether the symptoms are a coincidence or directly related to the vaccine, no one can say for sure. The bottom line is your dog needs to be seen by a vet for a long course of antibiotics. In the Veterinary Practice Today article, expert Merryl Lipman, DVM, Diplomate ACVIM writes: "We do not know if the Lyme disease vaccine prevents, sensitizes, or causes more immune complex deposition in kidneys [with respect to Lyme kidney.]' In other words, no one knows for sure either way. 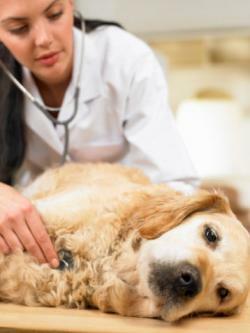 In practical terms, an owner may find their dog is feverish, unsettled, and lethargic immediately after vaccination. Typically, this lasts no longer than 48 hours. If you are concerned, speak to your veterinarian. Your vet may suggest a dose of a nonsteroidal pain reliever, such as meloxicam, provided it is safe for your pet. Short term side effects are largely due to the immune system registering the presence of the vaccine and are of no long term concern. The long term side effects of Lyme vaccination in dogs is more controversial. Among owners, some concerns have been raised that the vaccine has caused long term illness. However, there is no scientific evidence for this and other explanations seem more likely. As a pet parent it is sensible to weigh up the risk of your dog catching Lyme disease and balance this against the potential for side effects, and then make an informed decision about what's best for your pet pal.